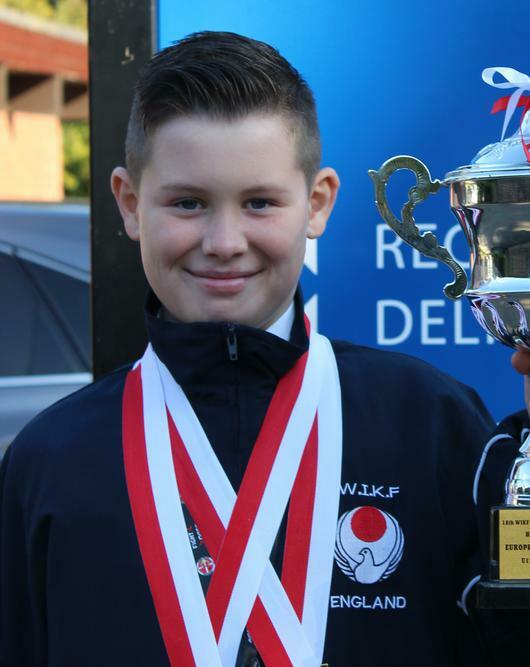 Lucas Spiers, now aged 12, has recently returned from Holland, where he competed in the 19th WIKF (Wado International Karate-do Federation) European Championships in Rotterdam last weekend. He has moved up in to the 12-13 year old age category this year, so was competing against older and more experienced children. Nevertheless, he managed to secure a place in the semi- final, when he narrowly missed out on winning the Bronze medal! Throughout this year, Lucas has continued to compete regularly at national level against other clubs throughout the country, where he has won a range of Bronze, Silver and Gold medals. Lucas is also already starting to think ahead to the 20th World Championships which will take place in the Caribbean. He says he is ‘determined’ to win a medal next year.